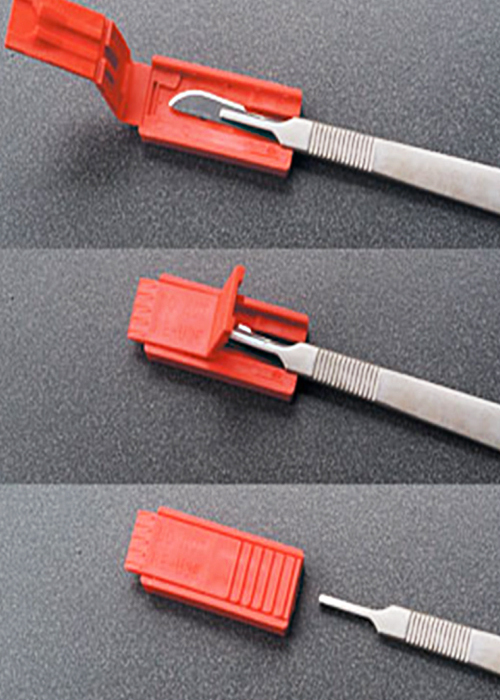 User friendly, quickly and easily removes surgical blades. Safe, protects against accidental cuts. 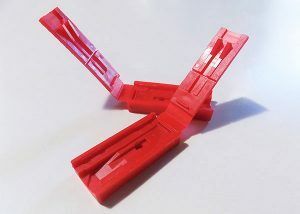 Securely locks blade away for easy disposal. Product Specs PDF (224KB) – click to view, download and print. 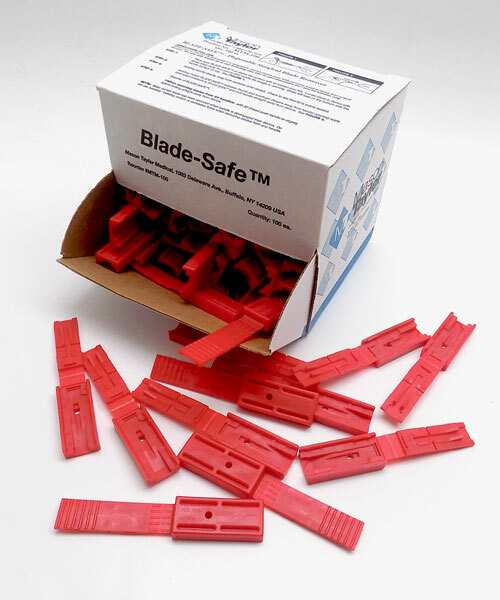 STEP 1: Place open BladeSafe on stable flat surface. 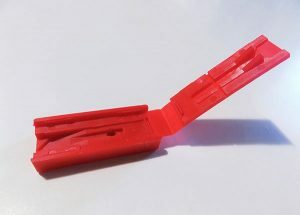 Locate blade in device, face down, with sharp edge towards the right of BladeSafe container, so that handle fits snugly in opening. Blade will seat on the bottom with the handle surface on top. STEP 2: Holding handle steady, snap both sections of lid closed. Check to see that lid is evenly seated. 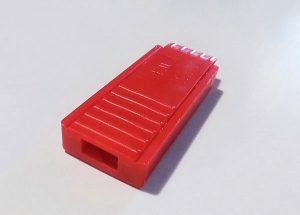 The lid will not close completely if the blade is inserted incorrectly. STEP 3: Holding closed BladeSafe securely between thumb and forefinger apply downward pressure to thumb grips and pull handle straight away from device (Do not bend or twist handle). Check that scalpel blade has been removed when handle is disengaged from BladeSafe.